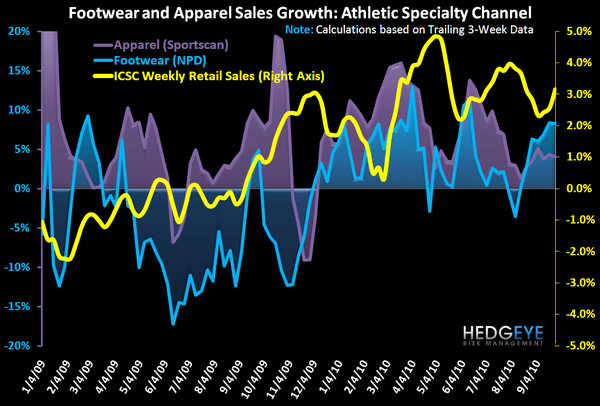 Athletic footwear sales up +8.3% on a trailing 3-week basis on a +4.8% comp confirms just how strong the trend is as we head into Q4. 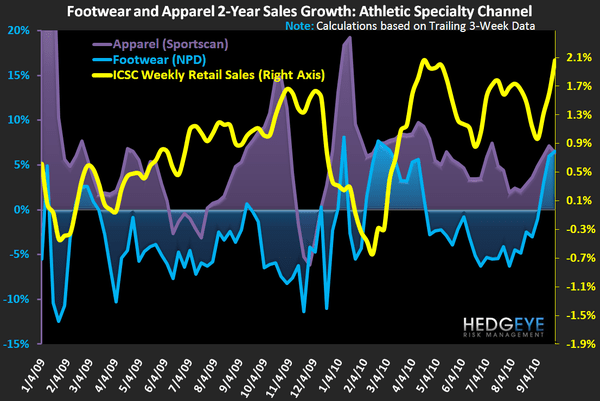 More importantly, with tough comps now in the rear-view, the outlook over the intermediate-term looks increasingly favorable. Despite what appears to be diverging trends between both footwear and retail sales according to ICSC and apparel, the underlying trends in all three remain positive on a trailing 3-week basis. 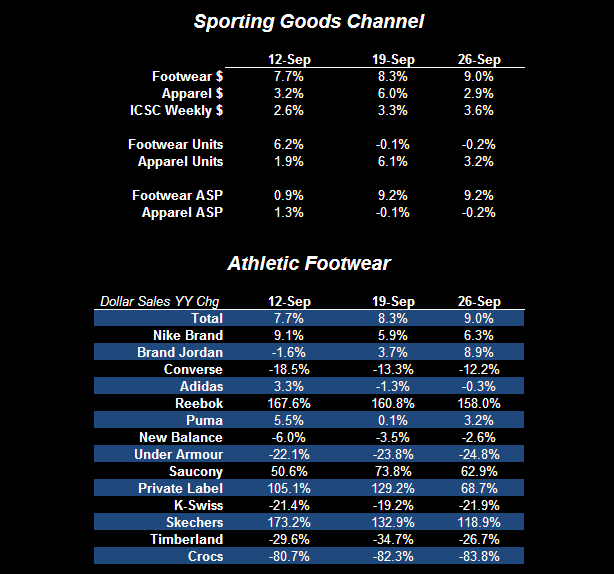 Nike (both Brand and Jordan), Reebok, and Saucony all continue to outperform. 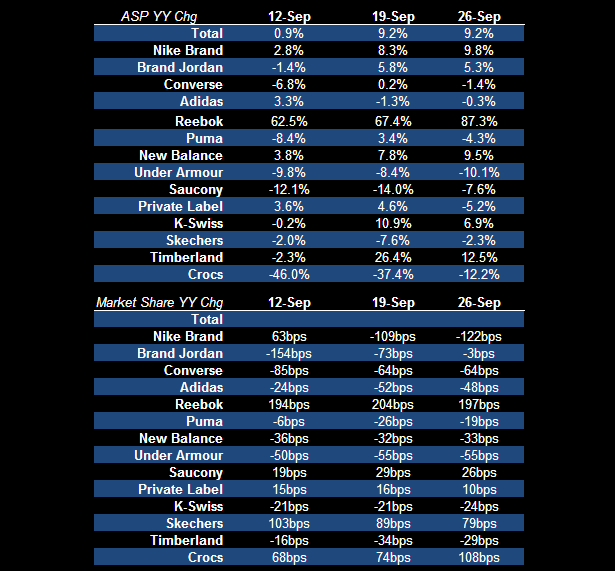 *Note: due to system upgrades at our service provider, the release of footwear data was delayed until today. It will return to a normal Wednesday release schedule next week.